SnowEdge's design allows operators to tackle dozens of trailers in a single day, reducing labor costs. 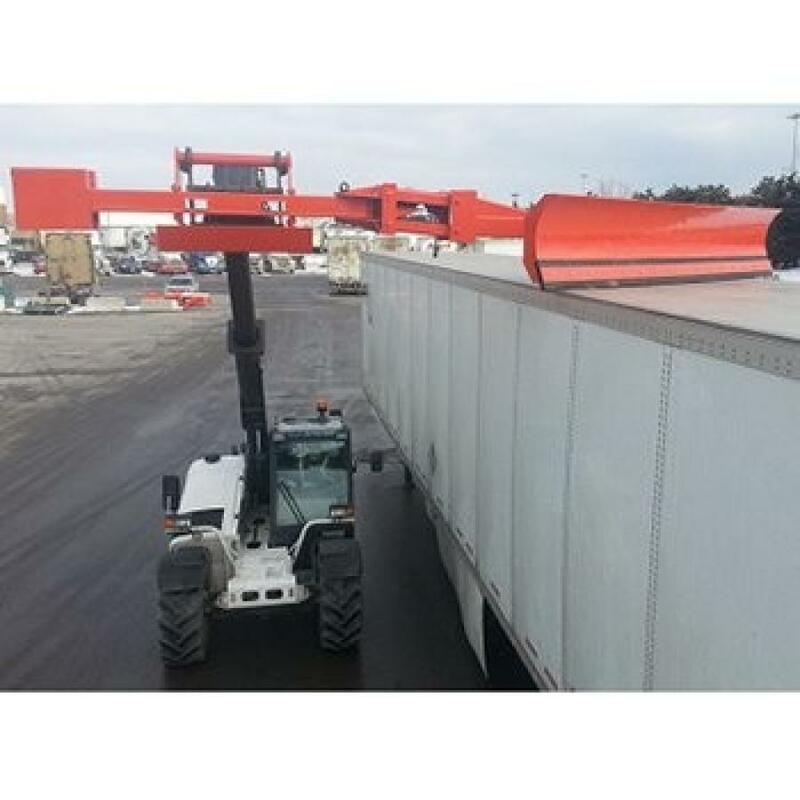 Rockland Manufacturing has acquired the manufacturing and distribution rights for the “SnowEdge.” The SnowEdge mounts on a telehandler or wheel loader and gently glides over the roof of a tractor trailer removing snow and ice. Inventor Mark Irwin, a Canadian business owner, designed this product for his snow removal company. Irwin has more than 35 years of experience in the transportation industry. 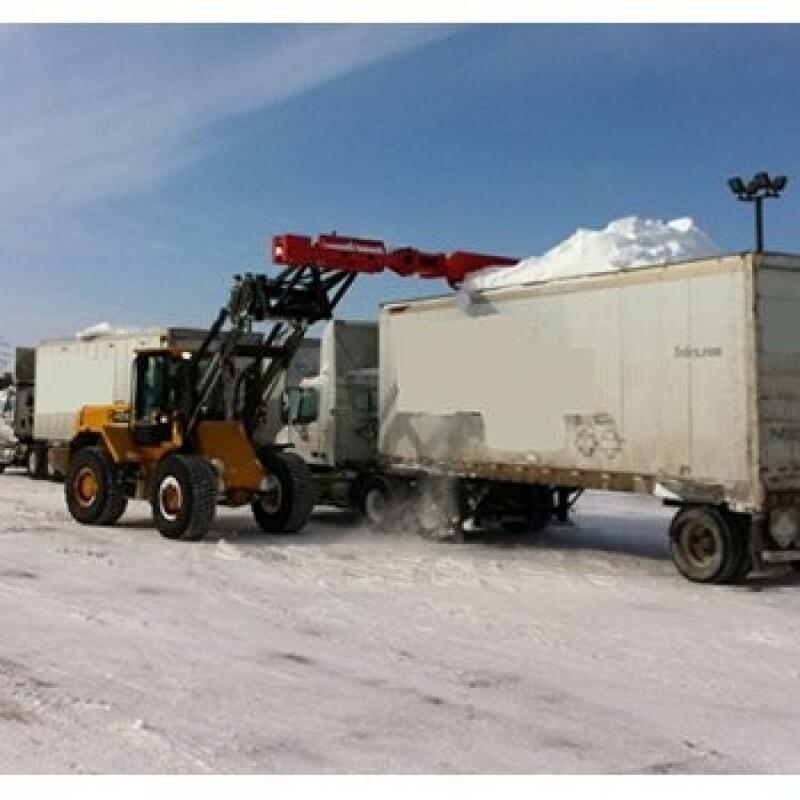 The SnowEdge has helped Mark's company, as well as thousands of truck drivers, keep their yards and trailers safe by providing an efficient way to remove snow, according to the company. Three preset working positions allow operators to clean, on average, 22 trailers per hour. The easily visible gauge ensures the appropriate amount of down pressure is being applied to the trailer roof. The reversible rubber edge further prevents damage and reduces long term costs. There are no hydraulics, making the SnowEdge cost-effective and easy to maintain. “This product makes a lot of sense,” said Bill Pratt, director of research and development of Rockland. “Not only is it a law in some states that trucks must be clear of snow before getting on the highway, it's simply safe practice. The SnowEdge eliminates the risks associated with having a person get on the roof to remove the snow and ice manually. Rockland manufactures more than 185 attachments for excavators, dozers, loaders, graders, haul trucks, and telehandlers.